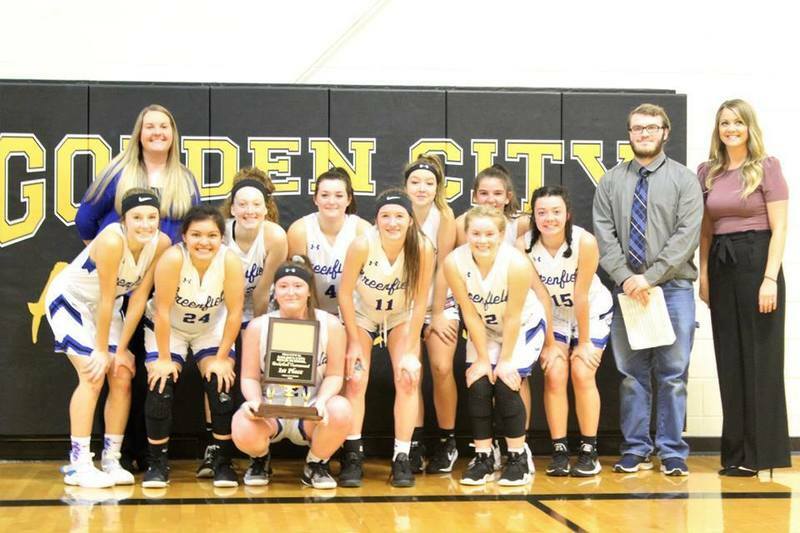 The Greenfield Boys and Girls Basketball teams are celebrating great success after the annual Golden City Invitational Tournament. The tournament was held January 7th – 12th and both teams left with hardware. The varsity boys walked away with a hard earned 3rd Place Trophy while the girls ended the week as Tournament Champions. The #1 Seed Lady Wildcats began their week by comfortably defeating the Everton Tigers on Monday with a score of 56-25. 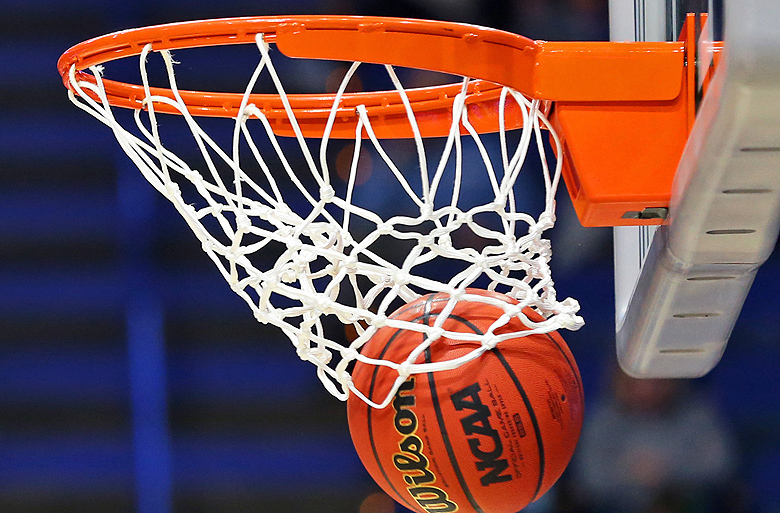 As the week started off smooth, the 2nd and semi-final round of the tournament would prove to be a much bumpier ride as the Lady Wildcats faced off with the Jasper Eagles. The Lady Wildcats held a steady pace the first half of the contest and went into halftime with a hard fought 8point lead. Going into the 3rd quarter it was evident the Jasper Eagles had made some half time adjustments and were determined to cut the lead. By the middle of the 4th quarter, the Eagles began picking up speed and cut the lead to 5 points with a score of 39 - 34. The Lady Wildcats responded and held strong throughout the remainder of the game. The final push resulted in a 45-39 Lady Wildcat victory. Rolling into the Championship Game, the Lady Wildcats were met by the Liberal Bulldogs. Moral was high, and this was evident from tip-off. The Lady Wildcats came out with tenacious defense causing a bevy of Bulldog turnovers resulting in several Lady Wildcat conversions. The Liberal Bulldogs would not recover from this. With a score of 60 – 26, the Lady Wildcats were named the Tournament Champions. This is the first time a Greenfield team has won the Golden City Invitational Tournament. The Boys Varsity Wildcats entered the Golden City Tournament as the 6 seed, but it soon became evident, this did not seem to be the case. The Wildcats started the tournament out hot by avenging an earlier season loss. The Wildcats faced the 3 seeded Everton Tigers in the first round and firmly beat them with a final score of 70 - 45. In the semifinal round, the Wildcats took on 2 seed Liberal. The Wildcats came out strong early in the game but was confronted in the second half by Liberals reputable halftime adjustments. Liberal defeated the Wildcats with a final score of 51 - 43 and eventually moved on to winning the tournament. 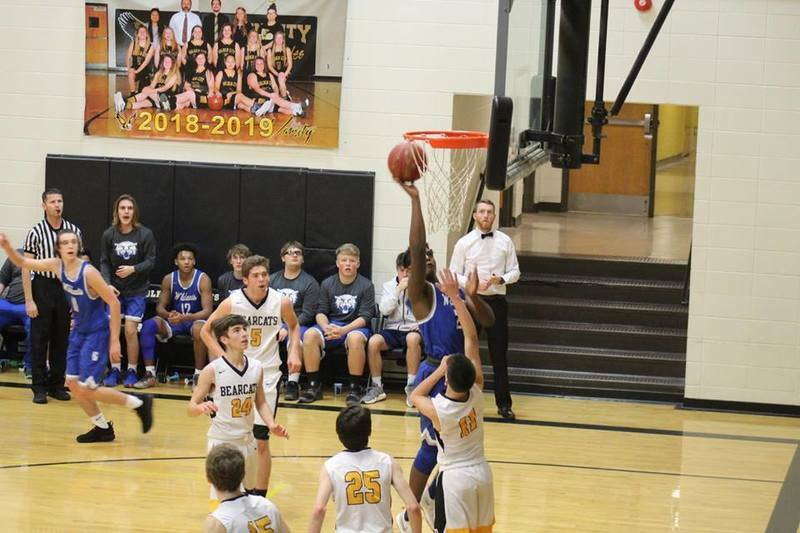 In the third-place game, the Wildcats encountered the Bearcats from Dadeville. The team executed on all cylinders to solidify their victory by a final score of 63 - 33. The Wildcats took home their first piece of hardware on the season with the third-place trophy. Congratulations goes out to these student athletes and coaches. Hard work, diligence, and devotion are moving our athletic programs in the direction Greenfield R-IV is prideful of. Keep up the good work!